Lawyer Richard Troy doesn’t do mathematics. But when he accepts Chechen number theorist Aslan Ivanov as a client, he realises that life, love and death are all part of the same equation. Aslan possesses a proof of the Riemann Hypothesis – a mathematical proposition that has defied academics for 150 years. With the power to unlock public key encryption across the internet, blowing open all online financial transactions in the process, the proof is priceless. Aslan’s friend, Anthony Heims, Fellow of Trinity College, Cambridge, secretly envies Aslan for it. American banker Clayton Ruck will pay anything to have it. Siberian assassin Colonel Vladimir Tutov will stop at nothing to get it. Forced to defend much more than Aslan’s legal rights, Troy becomes a reluctant number in Ruck’s and Tutov’s deadly calculations. The more Troy learns of Aslan’s story, the further he strays from his role as a lawyer. Suddenly, Troy is no longer crossing swords with courtroom opponents. Now the weapons are real, his adversaries merciless. And no judge will step in to save him from slaughter. This thriller has a fascinating plot which drives it along at speed. I really liked the way it is divided into lots of very short chapters – perfect for reading on the tube to work. It is clear that the author has done a great deal of detailed research into the topics the novel touches upon including notable historical figures in mathematics, Chechnya and life as a barrister, but these interesting details never get in the way of the plot moving on apace. Unlike some thrillers, the characters feel like real three dimensional people and are well developed so that you find yourself caring about whether they survive. I ended up reading the action packed denouement until well into the early hours of the morning as I had to find out what happened. A great read! I’m an avid reader of books, especially thrillers and this was my first read on my new e-reader. I’m glad to say that it was fast paced and gripping from the word go and was a great choice to be my first e-read experience. Right from the start the book had me hooked. The plot is based in different locations which keeps you reading to find out more and there is a good mix of characters that are well described so you find you need to keep reading as you care what happens to them. The plot has a brilliant concept which is clever and believable and obviously the author must have done a lot of research as the details of the book are very impressive. The plot twists and turns and has you guessing right til the end, which for me is the sign of a good thriller. I would definitely recommend this book to anyone who likes thrillers, likes a fast paced ,intelligent book and for me it has been the best book I have read in ages and a brilliant introduction to the world of e-reading! The book starts at a moderate pace but rapidly accelerates and becomes difficult to put down as the story advances. The underlying research is impressive, and the story very original. The story telling is such that the necessary suspension of disbelief on the part of the reader is easily achieved. An impressive novel which deserves a wider audience through a printed version. A taut, gripping drama. Constructed with the precision of a veteran master-storyteller, I was taken on a journey I’ll never forget. Is this really Pearson’s first novel? I look forward to many more. Thank you, Amazon – I’d never have found this in a bookstore. Take a dash of an unsolved mathematical hypothesis which promises wealth in abundance to whoever proves it, take a pinch of insight into the bloody Chechen conflict, an American financier who has dreams beyond avarice, a dollop of the foibles of Cambridge mathematicians and a good helping of the world of the immigration Bar plus a sprinkling of that old devil called love and you have the ingredients of a terrific cake of a first novel which is far from being half-baked. It got me turning the pages fast, if anything too quickly, because I had to revert a couple of times to earlier descriptions of locations, an understanding of which proved essential to later action. If the author publishes more, I will buy! 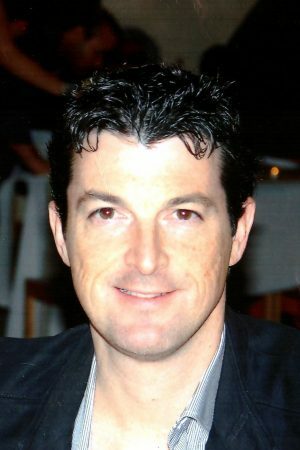 Chris Pearson was born in Belfast and grew up in Northern Ireland. He read mathematics at Durham University, England, before training as a lawyer. He is a practising barrister in London, England, specialising in intellectual property, media and entertainment law. Writing has been his enduring passion from an early age. 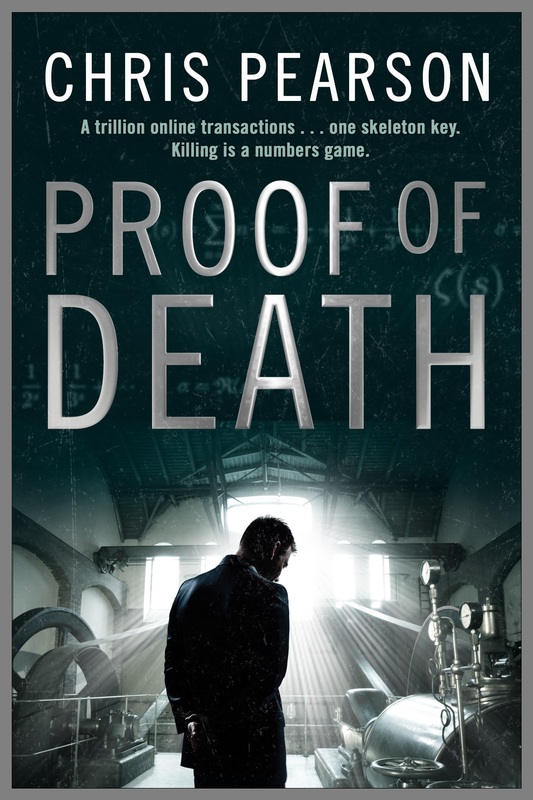 His first published novel, Proof of Death, is a thriller about a mathematical proof worth billions for its code-cracking powers. It is set mainly in England (London and Cambridge) and Chechnya.